Liam’s birthday–number 10, which is considered a big one–was this past weekend. A�He wanted to have a sleepover with a Pokemon theme. A�That gave me an idea. A�Pick up some booster packs and let them have a draft tournament. A�I’ve never done a draft for any of the games other than Magic Online, but that ended in disaster. A�We want to put together some Youtube videos for the web page that show how to conduct a Magic draft with us and the boys, so this was good practice. Some players – Generally, each group should have at least four and no more than 8 players. A�We decided to keep the group small for this first time. A�Only Liam and three of his friends played in the tournament. Some packs of cards – The suggested number of packs per player is six. A�Since it felt gauche to require admission to a birthday party, we had to come up with at least 24 packs. A�At three to four dollars per pack, that can get expensive. A�We lucked into an open box of packs for relatively cheap. A�If we want, we have 12 extra packs for prizes. Schedule – Depending on the size of your group and the time available, you could go with a round robin. A�Since we only have four, that’s how we organized it. A�Whether you have a round robin or not, you can use this linkA�to help put together and print your schedule. Non essentials – Snacks, prizes, some other games for in between rounds. A�We gave the snack funny Pokemon themed names like Charizard fireballs for cheese balls, Charmander chips for potato chips, and Squirtles’s Squirt for the juice boxes. A�The boys all got a kick out of the names. A�We didn’t end up having games in between rounds because they went quickly, but we did have a game for them to play when they woke up after the sleepover. A�We hid plastic golf balls painted to look like Pokeballs around the yard and they had to find them like an Easter egg hunt. A�That was a huge hit, too. Okay, we’ve got it all. A�What now? There are a few ways to do the draft. A�I was going to have them each open one pack, pick a card, and then pass the pack on to the next person. A�Repeat this process until all cards are picked from those packs. A�Then, do the same with the remaining packs. A�The boys thought that this was too confusing, so I allowed them to draft like we do at the prerelease tournaments we’ve attended. A�They took 9 packs each and built their decks from the cards that they got in those packs. A�I tried to convince them to do 40 card decks, but they insisted on 60 card decks. A�I tried to get them to play best of 3, but they only played one game rounds. A�My ideas gotA�shot down left and right. A�Everything worked out well for them, so they knew what they were doing. A�I just got out of the way and let them do their thing. They took turns and played each other in a round robin tournament. A�As I mentioned above, we didn’t need any entertainment for in between rounds since the rounds went quickly and the two that finished early just watched the game that was still in progress. A�We also had no need for prizes since the boys were so excited about their new cards. A�Liam came out the winner and there weren’t any major bouts of poor sportsmanship during the whole tournament. Overall, this one went well and they were able to figure things out with minimal (actually, no) intervention. A�Now that I’ve done it once, it will go easier and more smoothly when we sit down to put together the instructional videos. 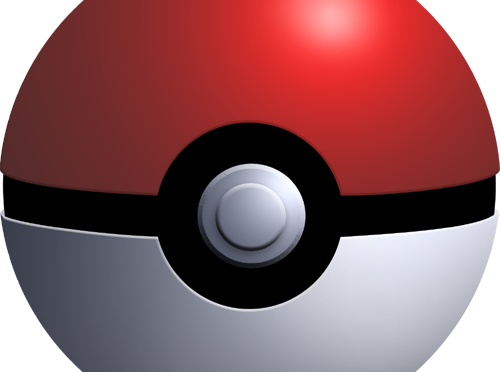 A�Have you ever participated in a Pokemon draft tournament? A�Do you have any ideas to make it slightly more organized (other than the participants not being 10)? A�Let me know in the comments.